The Costa del Sol has a reputation as a busy, tourist-laden stretch of coast in the south of Spain, and in some places it certainly is. However, extending around 70 kilometres, from vibrant, urban Malaga to the narrow streets of the quaint Estapona, Costa del Sol holidays are as diverse as the terrain and ambience you’ll find there. 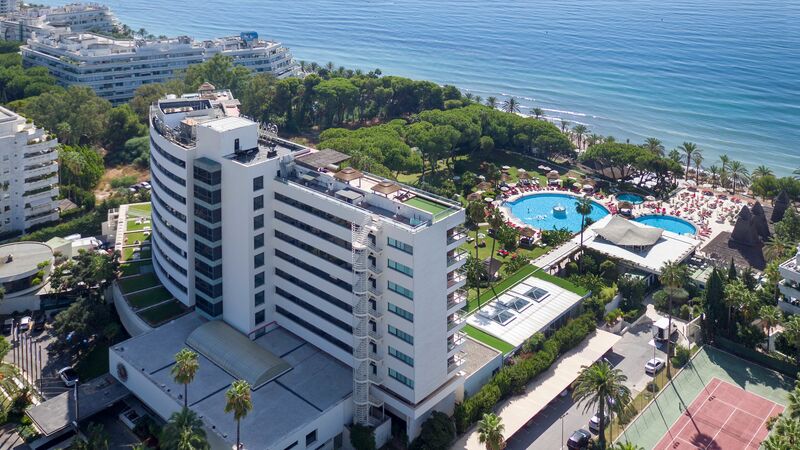 A world away from the busy beaches full of watersports, tavernas, and large hotel complexes, with activities for everyone in Torremolinos, there are opulent hotels and villas exclusive, sandy beaches – smart seafood restaurants, and Spanish tapas bars. Inland from the coast, sparsely populated, scenic mountains are dotted with small villages, their white-washed houses contrasting with the colourful bougainvillea and providing an insight into traditional culture and crafts. Sightseers will love the views from the lofty town of Ronda, overlooking its awesome deep ravine, and appreciate the fascinating history of the Alhambra in Granada. Ideal for couples, families, and those seeking activity, a luxury holiday to Costa del Sol can be many things. If you’re looking for days off the beach, walk, cycle, or horse ride along the mountain tracks and into the pine forests, enjoying views of the sea and the snow capped peaks of Sierra Nevada. 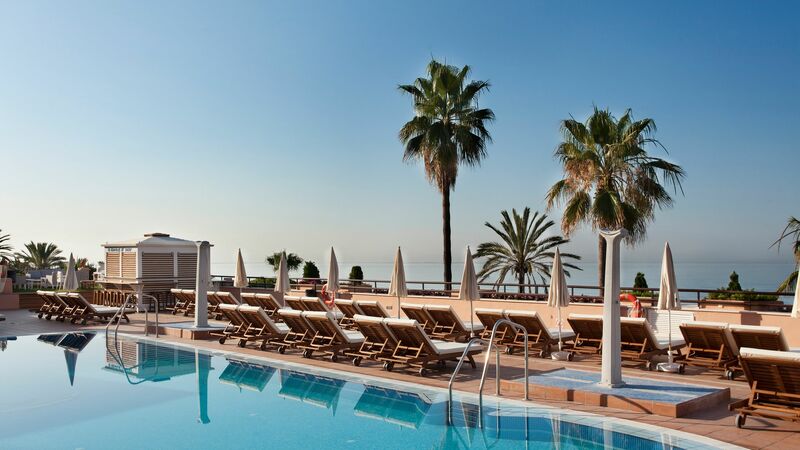 If you’re looking for luxury holidays in Costa del Sol, look no further than Marbella. Its “golden mile” of palm lined, sun drenched beaches stretch from exclusive Marbella to upmarket, trendy Puerto Banus. Numerous beach clubs and restaurants offer long lunches overlooking the sea, romantic cocktails, tapas, and outstanding service and quality. 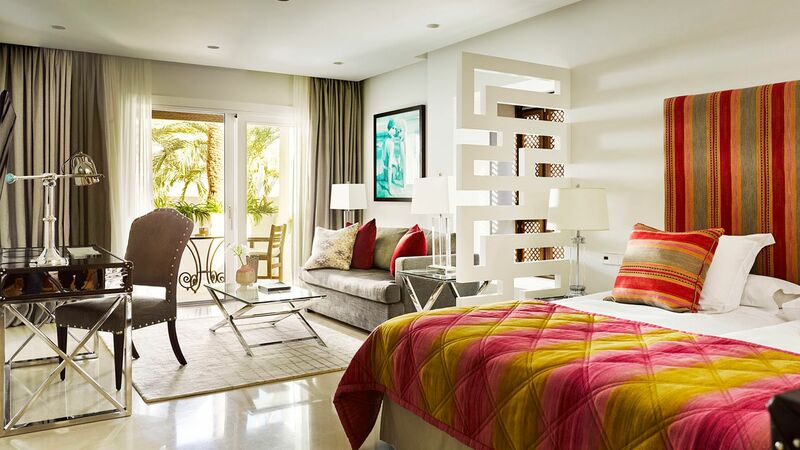 Here you can enjoy the ultimate beach club experience with every desirable amenity. Luxury holidays in Costa del Sol don’t just centre around Marbella. Simply pitch your swimming towels along one of the coast’s public beaches where the sand is still soft, the water warm, and amenities available. If you’re looking for watersports, just ask. 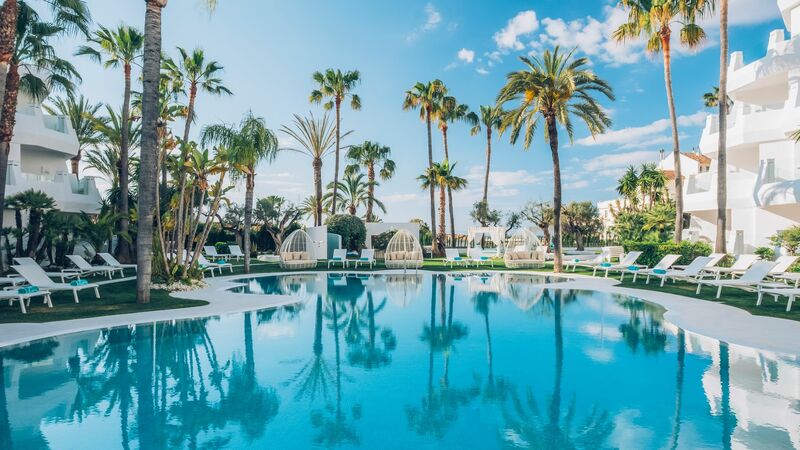 A wander along the sand and you’ll find invitation-only beach clubs where celebrities and the very wealthy hang out, attracted to Costa del Sol by its beauty and opulence. Nightlife along the Costa del Sol is varied, with plenty of cosmopolitan bars to enjoy, and restaurants staying open until late. Find a table overlooking one of the marinas, admiring the many and varied yachts moored there. Stroll around the old town, dip into shops selling chic brands, or others with more reasonable price tags, before settling down to a cocktail in one of the bars. Still not sure which destination is best for your luxury Costa del Sol holidays? Speak to one of our expert Trusted Advisers today. No trip to the Costa del Sol is complete without a visit to the amazing city of Malaga. The array of tapas bars and sherry bodegas is astounding. The most famous is El Pimpi near the Plaza Merced. Here you can find photographs of famous visitors to the bar, including Antonio Banderas and Tony Blair. Guestlist-only beach lounges, the Golden Mile, and tapas bars sponsored by Moët & Chandon – Marbella is where the jet-set crowd go to see and be seen. The city of Seville makes a great day trip from the Costa del Sol. Tour the Gothic Seville Cathedral, peering up at the minaret that was recycled into a bell tower. Next, mooch around the gardens of Maria Luisa Parque. Plaza de Espana is the jewel in the crown of the gardens, thanks to the beautifully tiled Byzantine-style bridges and elaborate fountain. Afterwards, delve into the city's narrow backstreets to find a bar for locally sourced tapas and sherry. The rose-tinted Alhambra is the main event in Granada. Built in traditional Moorish style, it's acted as a fortress, palace and walled city, and is protected as a UNESCO World Heritage Site. We recommend hopping on a tour to get the full story of the many twists and turns of the Alhambra; they fill up quick, so book at least a month in advance. While you're in Granada, don't miss the Generalife Gardens, with their serene pools and fountains, or the atmospheric Albaicin quarter. Ronda is one of the most famous mountain towns in Andalucia. You’ll know its face – it’s a travel magazine cover star, thanks to its spot straddling the huge El Tajo Gorge. On one side is the old town – one of the oldest in Spain – where you'll find Moorish buildings, cobbled lanes and a church that was converted from a mosque back in the 13th century. Make time to cross to the (relatively) modern quarter on the other side of the gorge, too – preferably via the triple-arched Puente Nuevo bridge. Flights to the Costa del Sol take around 2 hours 30 minutes from the UK. With a name that translates as the Sunshine Coast, it’s no surprise that this slice of Spain gets over 300 days of sun a year. Things start to heat up in the spring, with temperatures nudging the 20s, while in the height of summer, the mercury often tops 30°C. Where is the best Golf in Costa del Sol? With over 60 golf courses, golfers don’t need to travel far from their resort in Costa del Sol. The region of Andalucía, which includes Costa del Sol, was recently named the best European golf destination in the IAGTO 2017 Awards.